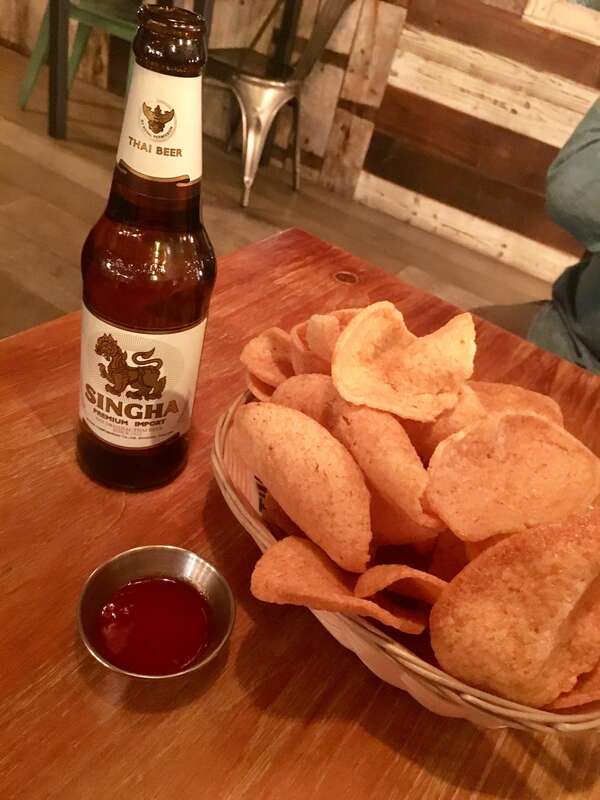 Last Friday we made our way to Thaikhun in Nottingham, situated in the Intu Centre for date night. Although it was situated in a shopping centre, walk through the doors and you feel just like you’re sitting in the centre of Phuket or Bangkok on a busy street with cars and tuk tuks rushing past. I haven’t actually visited Thailand yet (it’s on my list of course!) but to me it did seem super authentic. There was a bustling atmosphere inside and we were greeted by a lovely waitress who showed us to our table. There’s Thai bric-a-brac everywhere and every meal on the menu can be found at real Thai street food vendors (yes, in actual Thailand!) so this just adds to the authenticity and makes it really stand out from Thai restaurants that I’ve visited before. I love the whole street food vibe because it makes for a lovely laid back dinner – plus you get to try lots of different things! Since we’d not been before, we got recommended some food by our lovely waitress and we opted for the Sukumvit Platter to share for starters. This consisted of Thai fishcakes, spring rolls, dumplings and honey pork, and obviously we had prawn crackers to nibble on too! 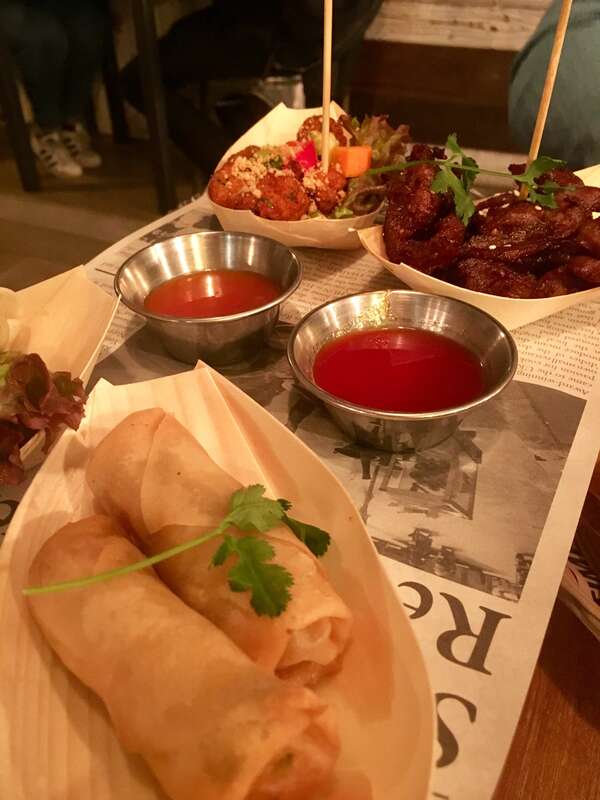 The starters were served in baskets and on newspaper which was really cute and again, a nod to the real Thai street food. Everything was really delicious – my faves were the Thai fishcakes which were delicate and full of flavour. For our main course we chose a Pinto, one of the sharing dishes where you choose three dishes and a rice. 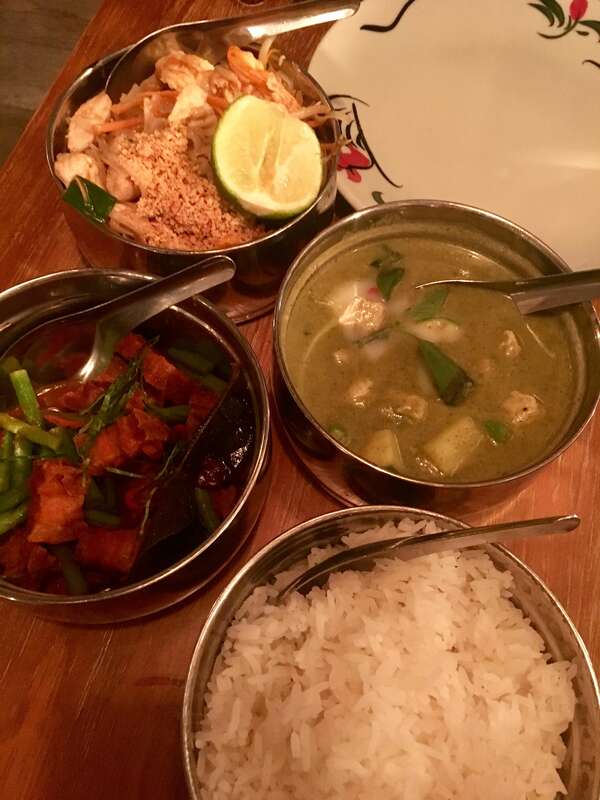 We went for Thai green curry, chicken pad thai and pork belly red curry and it was served with jasmine rice. Again, the flavours were delicious and the portions were huge – we were stuffed by the end of it and took most of it home to eat the next day! 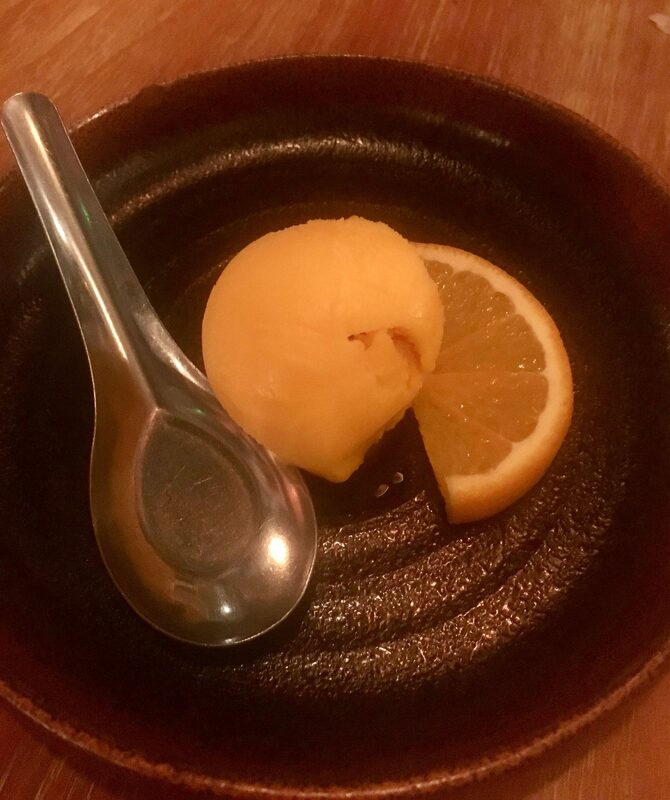 We were really stuffed so for dessert we just sampled the mango ice cream which was really fresh and a great palate cleanser after all that food. As for drinks, there are the traditional Thai beers on the menu like Singha and some Thai cocktails as well but unfortunately I was the designated driver so I was unable to sample these…next time though! 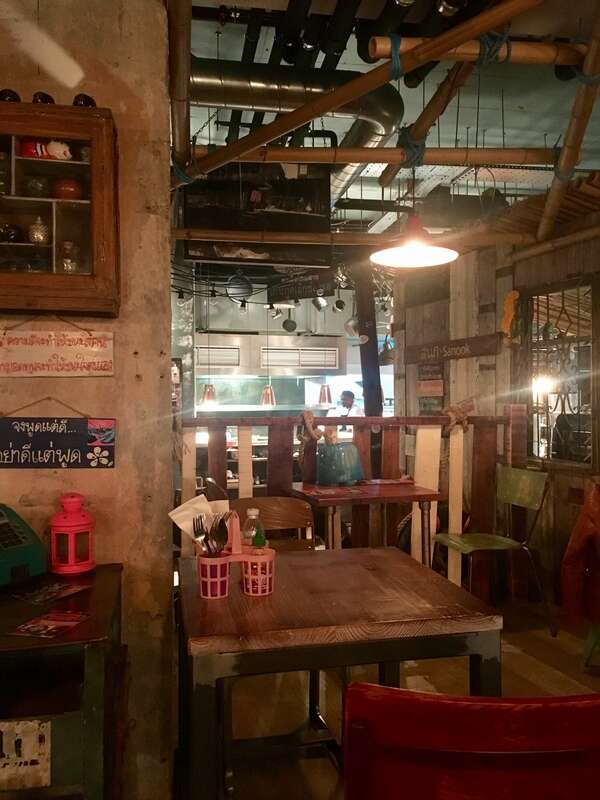 We had a great time and a delicious dinner at Thaikhun…and it just made me want to visit Thailand even more! Also, a special mention has to go to the staff – the waitress that served us was absolutely lovely and super attentive but everyone else that we spoke to were just as nice. 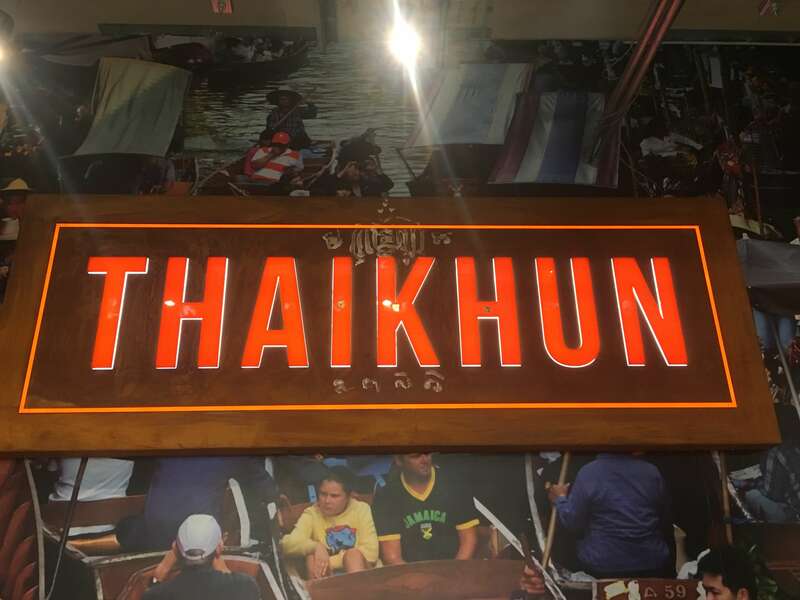 Find out more about Thaikhun here.